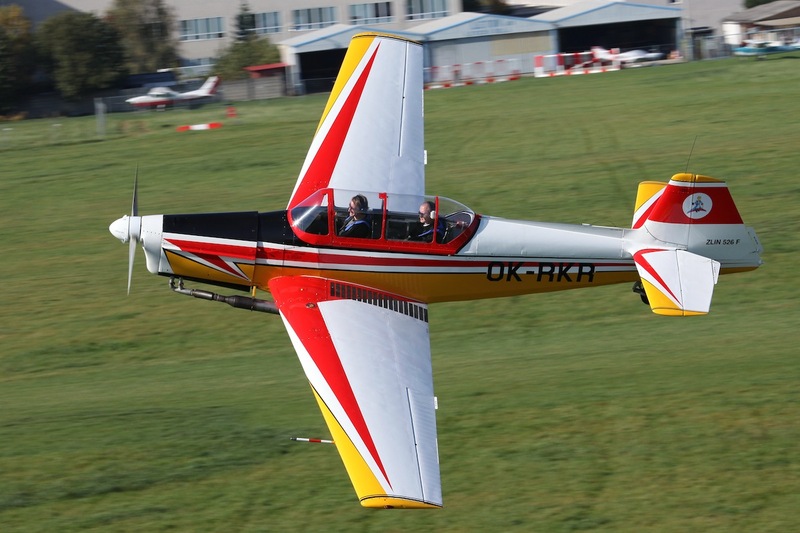 It was made in 1978 and sold to Romania, where it flew in basic training, where it was aquired in the nineties by a syndicate of three Swiss men, who ran it until 2008, when it was bought by a group of enthusiasts assoctiated in a club Aeroclub Loop & Roll, which owns and operates this Zlin today. The aircraft differs from others, with an installed muffler, which is required for noisier aircraft in Switzerland. Since the muffler does not decrease engine power too much, nor does it affect the aerodynamics, the Czech operator decided to leave it installed. OK-RKR won the 2008 championship in the Sportsman category and in 2010 was the second even in the Intermediate category. Since 2011, its home airport is Prague Letnany.